Schaumburg, Ill. mobile stalwart Motorola announced today plans to acquire Symbol Technologies for nearly $4 billion, per a difinitive merger agreement signed by both companies. The acquisition is subject to customary regulatory approval and the approval of Symbol’s stockholders, and is expected to be completed in late 2006 or early 2007, says a press release. 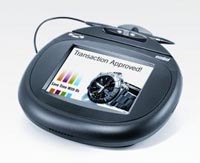 Symbol makes a variety of mobile products for enterprises, which include mobile data collection systems for supply chain management (today Symbol also unveiled its RD5000 reader). SCHAUMBURG, Ill. and HOLTSVILLE, NY – 19 September 2006 – Motorola, Inc. (NYSE: MOT) and Symbol Technologies, Inc. (NYSE: SBL) announced today that the two companies have signed a definitive merger agreement, under which Motorola has agreed to acquire all of the outstanding shares of Symbol for $15 per share in cash. The transaction has a total equity value of approximately $3.9 billion on a fully-diluted basis. As of June 30, 2006, Symbol had approximately $200 million of net cash. Symbol is a leader in designing, developing, manufacturing and servicing products and systems used in end-to-end enterprise mobility solutions featuring rugged mobile computing, advanced data capture, radio frequency identification (RFID), wireless infrastructure and mobility management. The company’s products and services help customers increase workforce productivity, improve customer service and enhance operational efficiencies by delivering information in real-time, as people, information and assets are on-the-move. Symbol is recognized as an industry leader in technology innovation, with a world-class product portfolio and valuable intellectual property. In addition, Symbol has a strong partner network and possesses deep domain knowledge and expertise in key verticals including retail, travel and transportation, manufacturing, wholesale distribution and healthcare. The acquisition of Symbol complements Motorola’s vision to deliver seamless mobility solutions to the globe. Motorola’s Networks and Enterprise business has more than 65 years of experience in meeting the mission-critical requirements of public safety, government and enterprise customers worldwide. This acquisition strengthens Motorola’s breadth of product solutions and introduces an extensive array of experienced channel partners to provide our seamless mobility experience to the enterprise. Upon completion of the transaction, Symbol will become a wholly owned subsidiary of Motorola and will be the cornerstone of Motorola’s Networks and Enterprise business. Motorola intends to maintain Symbol’s Holtsville, N.Y. headquarters, which will be the core of Motorola’s global enterprise mobility business and serve as a center of excellence. The transaction is expected to be accretive to Motorola’s earnings per share in the first year following closing, excluding certain non-cash charges relating to amortization associated with acquired intangibles and other one-time accounting and transaction-related costs. The acquisition is subject to customary regulatory approval and the approval of Symbol’s stockholders, and is expected to be completed in late 2006 or early 2007. The acquisition of Symbol will not affect the pace of Motorola’s share repurchase activity. Motorola and Symbol will host a joint conference call at 8:30 a.m. Eastern Time on Tuesday, September 19, 2006. To participate in the conference call, please dial 888-802-8574 (U.S.) or 973-628-6885 (international), reference conference ID number 7887522. There will also be a live Webcast of the conference call on both companies’ Web sites at www.motorola.com and www.symbol.com. The Webcast will be archived on both companies’ Web sites through October 2, 2006. Symbol Technologies, Inc., The Enterprise Mobility Company™, is a recognized worldwide leader in enterprise mobility, delivering products and solutions that capture, move and manage information in real time to and from the point of business activity. Symbol Technologies enterprise mobility solutions integrate advanced data capture products, radio frequency identification technology, mobile computing platforms, wireless infrastructure, mobility software and world-class services programs. Symbol Technologies enterprise mobility products and solutions are proven to increase workforce productivity, reduce operating costs, drive operational efficiencies and realize competitive advantages for the world’s leading companies. More information is available at www.symbol.com. Motorola is known around the world for innovation and leadership in wireless and broadband communications. Inspired by our vision of Seamless Mobility, the people of Motorola are committed to helping you get and stay connected simply and seamlessly to the people, information, and entertainment that you want and need. We do this by designing and delivering “must have” products, “must do” experiences and powerful networks – along with a full complement of support services. A Fortune 100 company with global presence and impact, Motorola had sales of US $35.3 billion in 2005. For more information about our company, our people and our innovations, please visit http://www.Motorola.com.